The woe of trying to buy tickets. On this blog I have spoken of my love for the band Ride before, of being the only shoegazer kid in the western suburbs of Melbourne in the early 90’s. When I was in my mid teens they played a show at a University (probably Monash or Melbourne) in Melbourne and I wanted to go so so bad. As this was mid-week and the uni was probably a good hours drive from home I asked my parents if one of them would take me. They were not cool so the answer was no. My dad did ring the student union a few days before asking if I would even get in. Their answer was well there will be alcohol served there but she would be able to enter.Thats a no then. I thought about jumping out of the window and going That would have involved a bus, train and tram on a school night and I would have needed some balls to go. So instead I sat in my room all night crying and listening to Ride. Oh the pains of the teenage girl! They split up soon after. Looking back as amazing as they were they were a bit like the boy band of shoegazing. Mark Gardener with his cute looks plastered all over my bedroom wall. That said it shouldn’t take away from their music, at least the first 3 albums anyway . Those albums and EP’s were like walls of sonic noise and swirling sounds it was amazing and not like anything I had heard before. It was a revelation. Dad said I would grow out of it, Dad was wrong. As I got older I joined a band that was heavily into shoegazing and we even recorded a version of “Leave Them All Behind” for a tribute covers album (I never saw it and I can’t quite recall what our band were called. It could have been Colonel Mustard). I still collected whatever I could find on vinyl and finally got to meet my beloved Mark Gardener (on my birthday no less) at two solo gig’s he did in Melbourne in 2005. We did chat but I didn’t know what to say, now I could think of a million questions not the dumb ones I asked. (15-year-old me was hoping it would be like the movies and he would fall madly in love with me..he didn’t and more importantly I didn’t but I was in my mid 20’s by now and knew how the world worked). Important lesson don’t meet musical heroes. 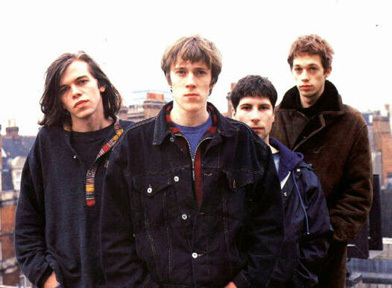 Ride were influential in elements of my life, the dress sense (I have a replica top that he’s wearing in a promo shot (above) which I bought and It cost a bomb! Funny I went into a hippy shop in Canterbury a couple of weeks ago and saw the same top I almost bought it) from the music I started listening to, to my first introduction to independent british music which made me want to first move to the UK (and I’m still here). So when Beady Eye announced that they were splitting up, thus releasing Andy Bell from his commitments with either of the Gallagher brothers (back story went Andy Bell joined Oasis after the Ride split, it was rumoured that the Gallagher brothers had banned any Ride reunions) I had hoped that a Ride reunion would be imminent and I would finally be able to go. And so they did. I was there with two computers 41 seconds in. By the time I had got through well devastation. All tickets had sold out. I was upset like that 15-year-old girl again. How dare they? Hardly anyone I know likes them or even knows who they are? How did this happen? Was it all the hipster’s in Shoreditch who heard that they were cool? It’s sad that it’s all come down to this. Years ago you could still buy tickets after the 15th second of them being put up for sale. In some cases at the door. Now if you look on evil places like seatwave and other unscrupulous websites, it appears acceptable for these places to buy up large amounts of tickets and then sell them seconds after shows have sold out for £100!!!! When did this become a thing? A thing that people accepted? These companies are pure evil, stealing opportunities from real fans and then forcing them into a corner. This is much different from the scalper out the front of the venue who has a small handful of tickets trying to flog them off. This is big business and it’s sickening. Blur had the right idea a few years ago when they played in Margate. The tickets could only be purchased in advance by fans on their mailing list and even then on entry you had to show the tickets, the credit card they were purchased on and the name had to match both things or you would be refused entry. It was a fair system to ensure the fans had first preference. I could go and see them at Field day and I will probably have too, even though it will cost me more money. (there’s the dentist put off for another couple of months!) but then again they may just do what all of these other 90’s band have done and just tour around until no one is interested anymore (or Oasis come calling again) . I’d like to see some sort of 90’s festival with Ride, Slowdive, Jesus Jones etc, I could go on and on but I will just sound old. 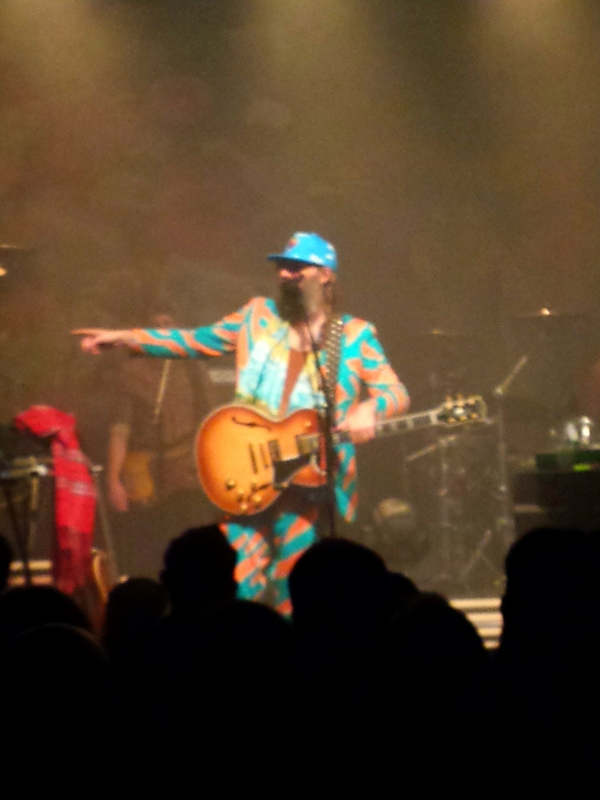 Instead I saw that the very talented Matt Berry is playing a rare show of music at the forum (you may know him from him Toast of London, the IT crowd, Snuff Box, Dark places) so I bought tickets for that. That makes me happy. Hunting high and low for some swatches. I’ve been attempting to plan a large quilt over the last few weeks now. 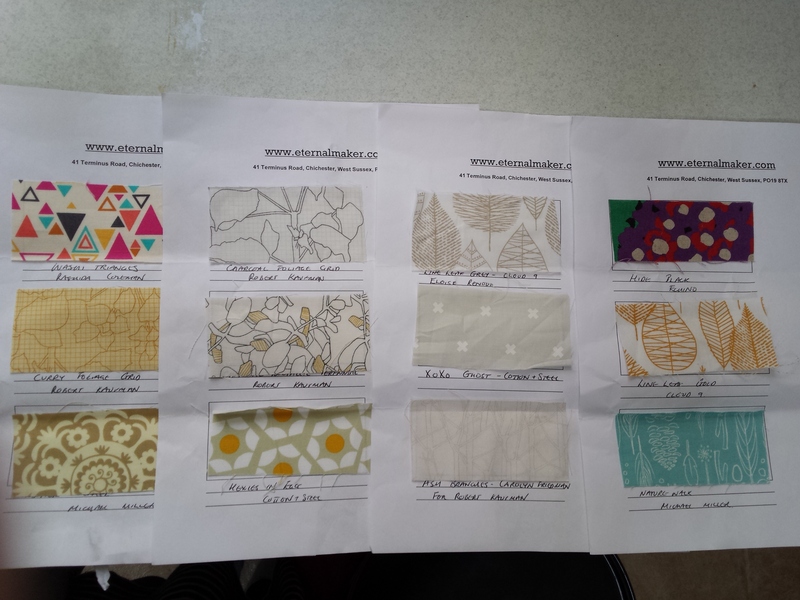 So when starting the first stages of a quilt I will forgo maths and all other technical stuff (I have a pattern already) and start at the most obvious place, fabric choices of course. After going through my stash nothing was really suitable for my master plan. My local shop has a very limited range of products (who can blame them they’re only small). So I had to go where I always go on ‘tinternet. I have a small collection of fabric in my stash which I have bought which turned out unsuitable for what I was doing. Pictures on the internet can vary wildly and give a very untrue idea about what the fabric is like, different colour in real life, to the size a of a print . A fat quarter is around £3.00, I have around 8 of these little disaster so I’m not talking about small change. I’m sure I will use them one day but I don’t like to have that mind-set because that is £3.00 less I have to spend on Tula Pink fabric or some Cotton & Steel or something else I’ve been lusting over. So I try to keep my spending and purchases tight (unlike the heady days of stash building when I first started, I learnt a lot about what not to buy). So what dawned on me is that I’ve never entertained the idea of swatches or at least finding some stores that will sell me a very small amount. I also thought this would be an easy thing as I knew what I was after and it would make sense for stores to offer a swatch service. But I was wrong, dreadfully wrong. After searching and emailing most of my normal retailers most of them didn’t seem to offer that service at all, whether it is not commercially viable to them or for other reasons it seemed strange not to, especially in dress making where you would then have to buy blind without knowing what the fabric felt or drapped like. 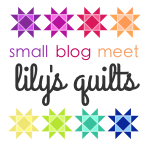 I did find two places who would let you have 5 for free (I’m still waiting for samples after a week) or will only let you buy samples on some of the fabric (not any of the quilting stuff) . Then I found the Eternal Maker doing swatches for 25p each. This I am more than happy to pay and I can do it with very little embarrassment, the embarrassment of having to ring for extra and give the impression I’m a freeloader. I also felt guilty asking for 12 but I paid quite a bit for postage so I don’t feel too bad and I was paying for them. To be honest I was just grateful to get my hands on some and avoid purchasing mistakes. How to conduct oneself at a gig. Last week I went to the ultra hip (I don’t know if it is) Village Underground , down a very small street with no sign out the front just two dark gates behind it what looks to be a bit of old train tunnel in Shoreditch ,to witness a performance by the most brilliant and under rated french artist Sebastien Tellier. Many of you may know him as the French entry at the 2008 Eurovision contest. But he is much more than all that. 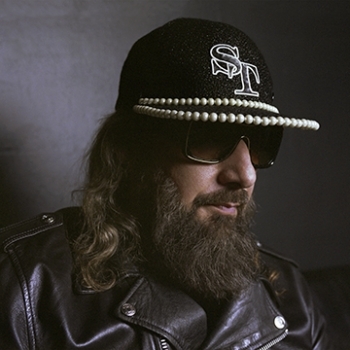 There are 2 sides to Sebastien Tellier, the dirty sexually charged music baron who drinks and smokes too much living up to every french stereotype that Gerard Depardieu created. And then there is the other side which creates some of the most beautiful pieces of music that have graced my ears and made my heart stop a little, songs of love and devotion, the sensitive soul. Tonight we had the first incarnation. He played for 2 and a half hours in which we got about 12 songs, so you can gather the songs are of an average length (except the 10 minute epic La Ritournelle) so what took up the rest of the time? I think it was some sort of attempt at stand up comedy. It was funny to begin with, very funny but as the chain-smoking and wine drinking continued it just was less so and in parts nerve touching and jaw dropping. (Stop destroying the illusion I have of you built up in my head!!). Was he off his head? Was the joke on us? I will never know but when your crowd start to yell play a song, your backing band look bored and the audience start to leave you need to stick your day job. When he did his day job he was brilliant, playing the hits and avoiding the majority of the new album,( which and I am warming to this Brazilian infused long player)..As usual, he sounded amazing live. Divine and Cochon Ville played after each other was almost too exciting.His stripped back version of La Ritournelle was just..breath taking, (must see if he has a recorded version out) if I could have hugged the music I would have done. 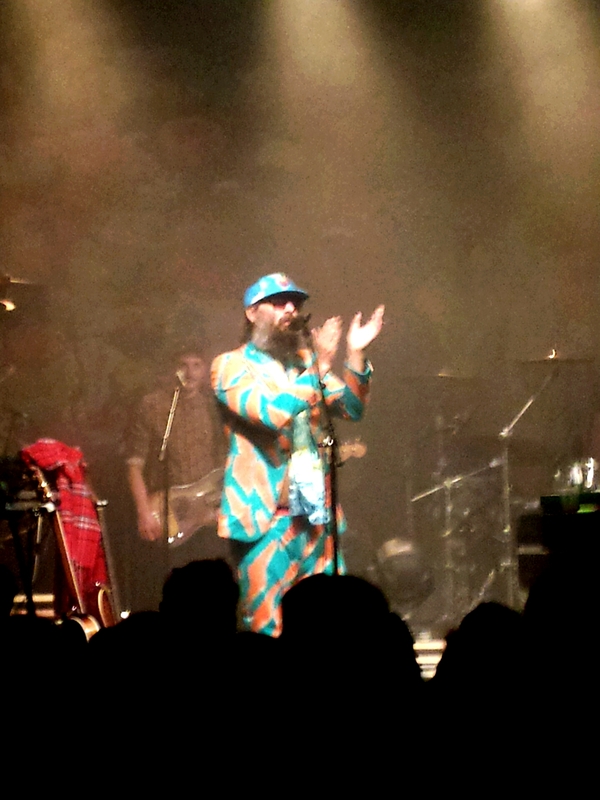 For all the bizzarreness of that evening I still am in complete awe of him. Look at that suit, he liked to talk about his suit. So here is a play list of all his absolute best in my humble opinion , I could have just put each album in there. But no, Ive restrained. I implore you give him a go there is quite a variety of styles. Not into the beautiful ballads? The dance tracks should sort that out. I normally dont like sharing clips but his entry into eurovision is too good to not share. But how does one conduct ones self? As I have been going to shows for 20 years now (I started very young…) I began thinking about having to be in a small space with a lot of people, there are still things I find irritating and as I have gotten older the audience dynamic and technology has changed, but the basics I still find irritating, especially with the stupid ticket prices of some shows lately. It’s ok to take a quick picture, but I have had to watch almost entire songs (normally when the hit is played) through someones mobile phone device, some of these are as big as tablets! It’s rude and not cool and removes a lot of enjoyment. Why can’t people go to the back and use zoom? Talking during quiet songs. Are you feeling suddenly unwell? Is it that important to begin a lengthy conversation during a very quiet song? By doing this will you benefit all humanity? No I didn’t think so, you have the rest of your life to say whatever nonsense you want to impart I think it can wait. If your going to dance/mosh in the front of the stage don’t take half your beer in and decide to chuck it in the air. No one wants to be covered in your cheap beer and back wash. If your tall it is very impolite to push through stand right in front of a short person ( so in front my nose is touching your back) I’ve paid to see a performance not your back, have some consideration giants. Feeling women up in a crowd is foul and an abomination and you should be publicly humiliated. Have I come over all dictatory? Apologies, I’m just having a long overdue moan. I’m going to apologise for the blog entries you will read over the next few weeks (7 to be exact). 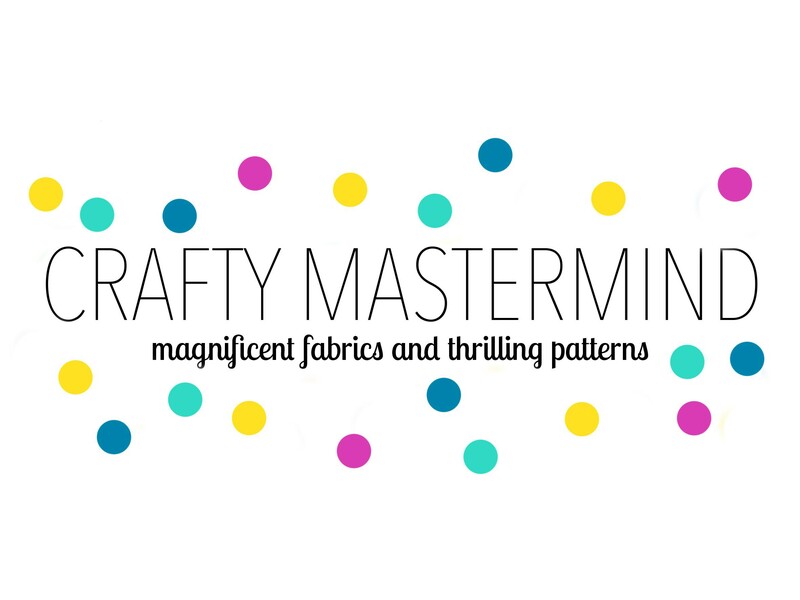 As all I’m making craft wise is for Christmas/other gifts I’m going to refrain blogging about anything I’m currently making other than the christmas quilt I’m making for the sofa. So in the meantime your going to get a whole world of randomness! Let’s start with Lego. I like to buy christmas stuff early, I mainly do this so I can spread my spending over months instead of crashing and burning in December (but I always do). As Rockette is at the beginning of her Lego age I’ve been looking around for suitable stuff for her. Being only 4 and not completely clear on the ways of the world (for example setting her straight on the comment Mummy girls can not fly aeroplanes, where does she get this stuff from?) I’ve been looking for positive female models in the Lego world. So far it has been pretty dire. If you wanted to be a Disney Princess, a shopper, work in a shop, become a thief, be a cheerleader, hang out with your friends, be a pretty vet then no problems! Theres loads of that stuff you can buy. If you want policewoman, a paramedic construction worker, a scientist, a post lady so forth and so forth this kind of stuff is very thin on the ground, very thin indeed. The friends range is very pink and I’m pretty sure one of them is supposed to be a vet but I can’t really tell on the box, like I said it’s all very pink. The assumption that all girls will only ever play with is pink and to pigeon-hole them as such is depressing . Little girls do like pink and princess’ , dolls and other stuff like that, so there is a place for that. But they also like police chases and knights with kings and queens, animals, dinosaurs, pirates and space. It’s unfair to not produce adequate female figures and mix them up with the men in the sets. The solution was to make my own at the pick and mix Lego shop. It took us 10 minutes of searching through all of the hundreds of heads to find only 4 female ones. 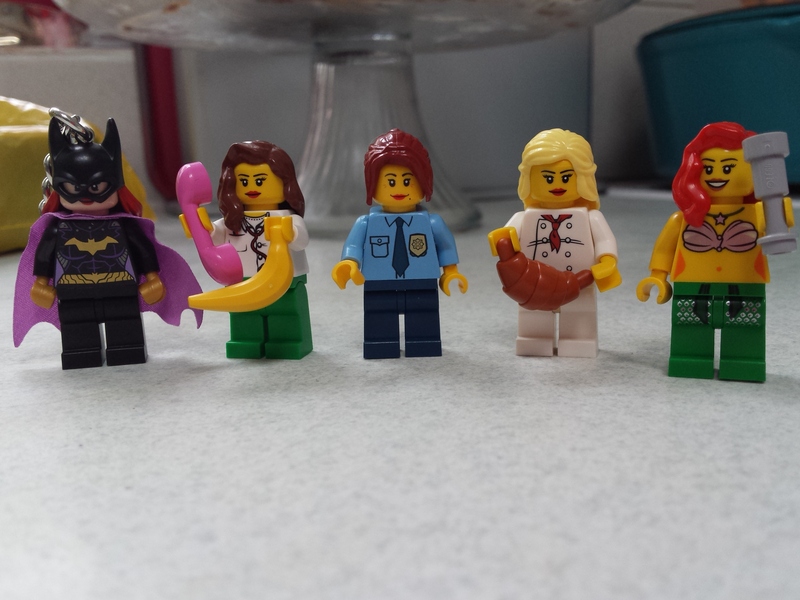 Finding the rest of the bits was fine, Chef, police officer and GP (eating lunch and on the phone) were all completed with general ease, except the mermaid tail that had to don some ninja pants instead (it’s the best we could do, you see girls can like mermaids and police stuff). Batwoman was on a key chain, but she was too cool not to buy. 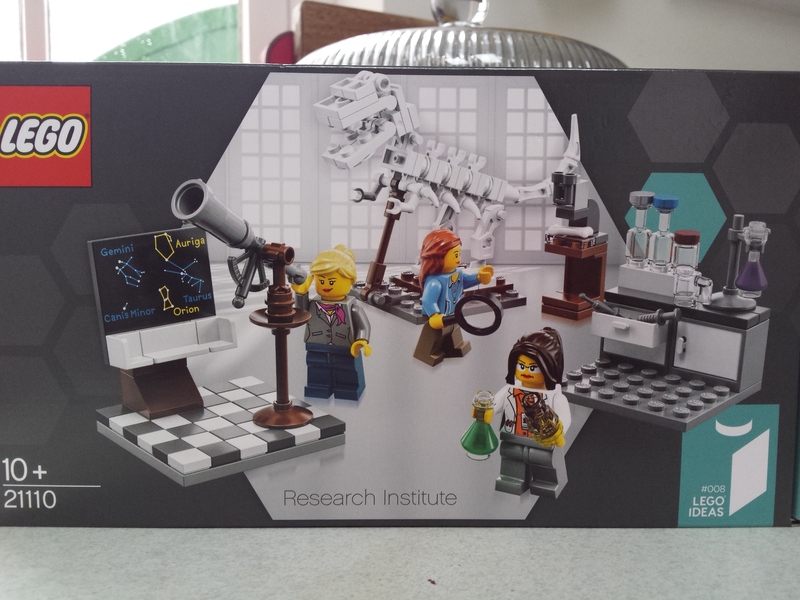 Thankfully I turned around on a shelf and found the fabled rare science kits Lego released in August of this year just siting there (ahhh)! This kit came about (or so I’ve read in this interesting article http://www.bbc.co.uk/news/magazine-28660069) after a complaint to Lego from an 8-year-old girl . I’m sad that there is only one of these kind of sets out there. But what I would have prefered would be a mixed work place with both genders working together, one step at a time . I’m not calling the sexism card it’s just a shame I can’t get more sets that have equal amounts of gender doing a whole range of interesting jobs. This kit was from the Stratford branch if your interested.